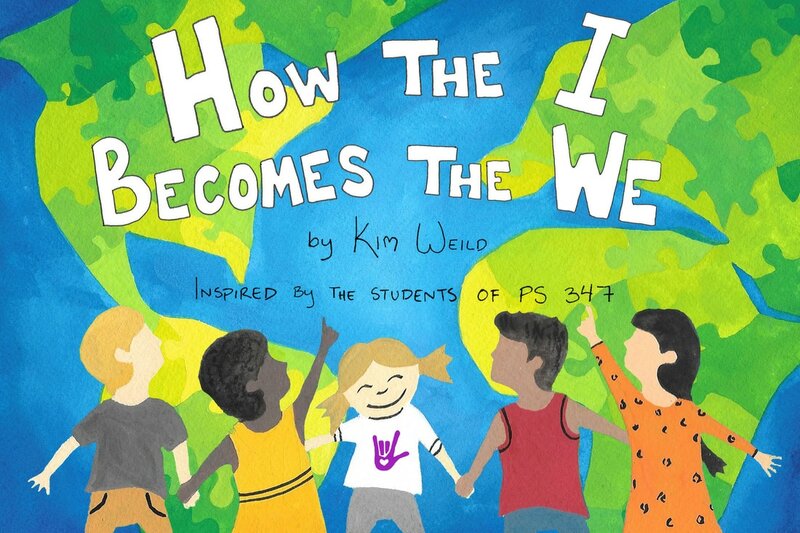 Written by Kim Weild and produced by Other Voices, How The I Becomes The We is an illustrated workbook created in order to teach children, specifically deaf children and CODA, story structure and how to create their own stories. 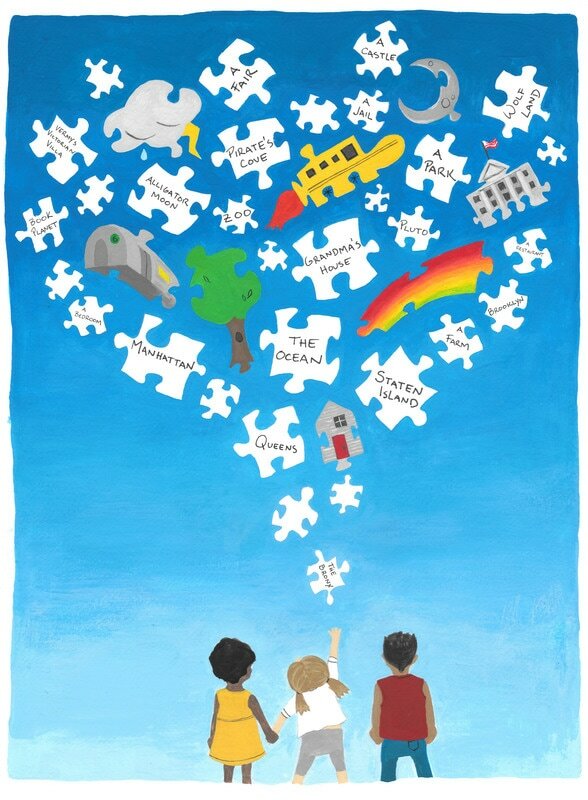 The examples and format of the book were inspired by workshops with the students of PS 347, an ASL and English secondary school. 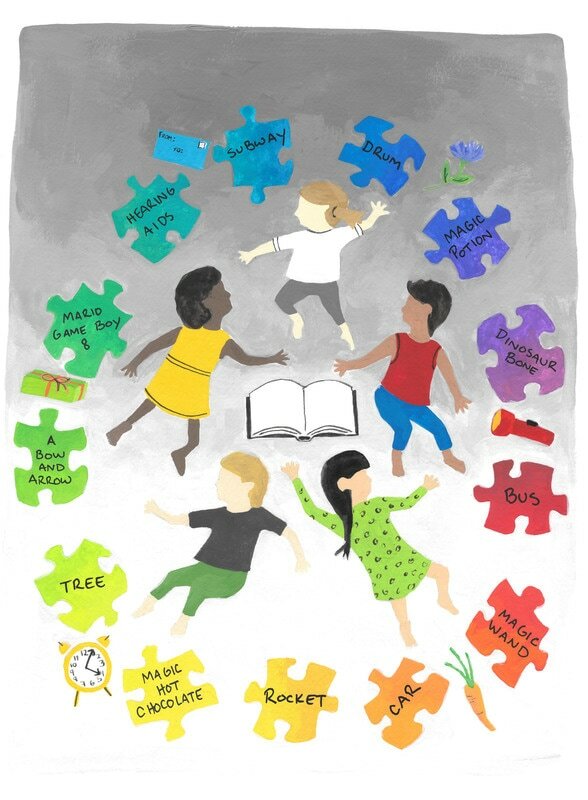 The collaboration culminated in a book release and play (written by the students) on the Manhattan High Line as part of the Culture Shock Festival. 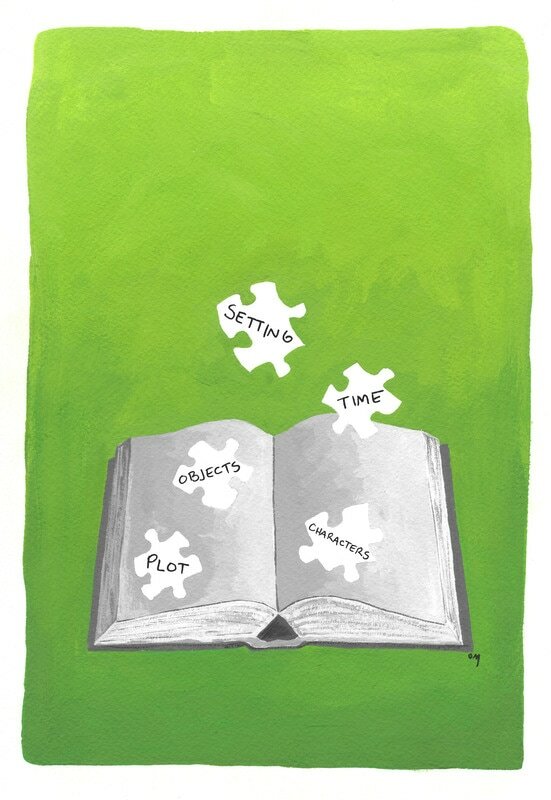 The workbook teaches story structure in the form of a puzzle - creating a story is just a matter of picking the right puzzle pieces, which should include Setting, Time, Characters, Plot and Objects. 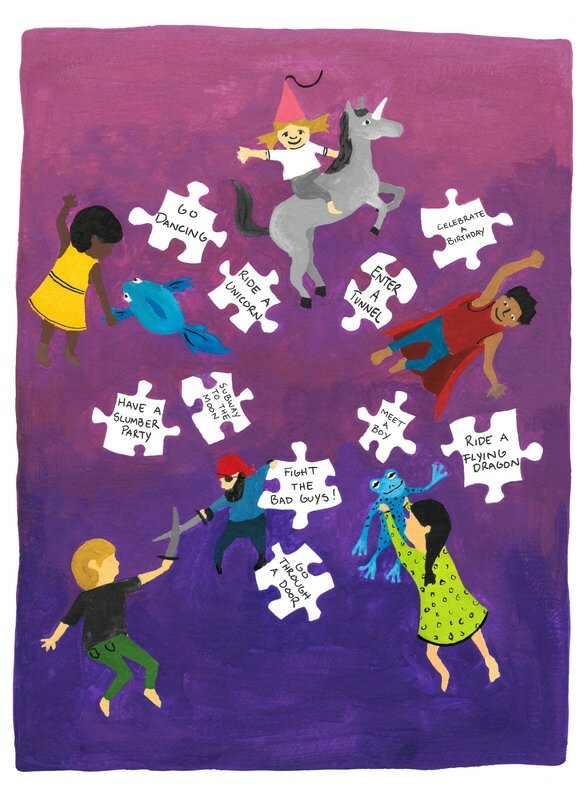 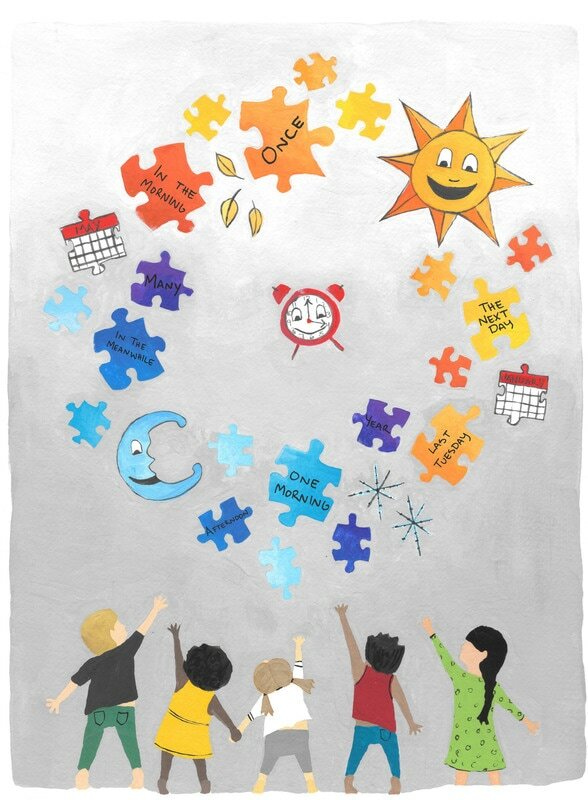 I used a puzzle piece motif throughout the book, and a group of five children that are taken through the journey of creating their stories. 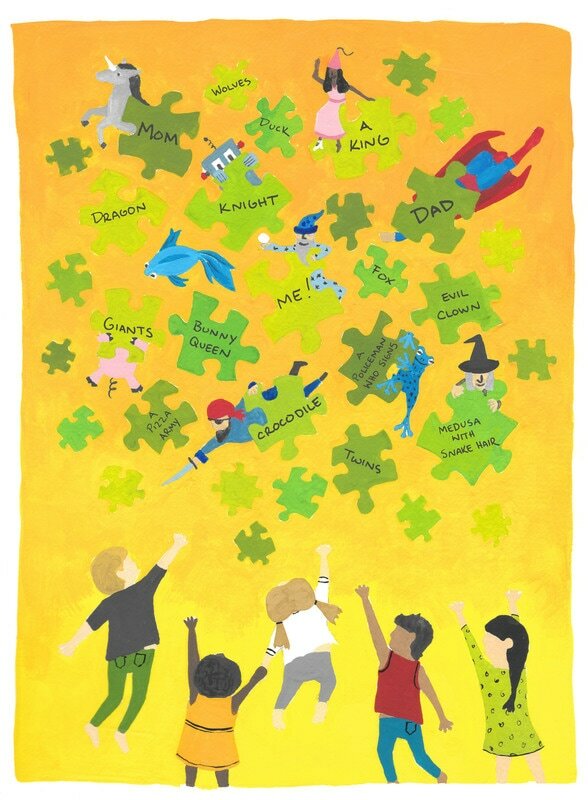 All of the text on the puzzle pieces was suggested by PS 347 students.